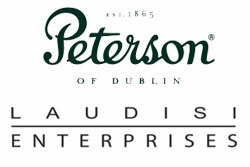 Ltd., notably the Peterson pipe factory in Sallynoggin, Dublin, Ireland, and the Peterson of Dublin shop on Nassau Street. The above news is straight from the horse’s mouth (nothing intended here, folks) F. Sykes Wilford, President and CEO of Laudisi Enterprises. Q: What was the overarching reasons for wanting to acquire such an iconic pipe manufacturing company? Sykes: How could we not have been interested? Peterson’s a remarkable institution in the pipe world. Continuously operating as a factory for 150 years, it has a beautiful story, a distinct aesthetic and a rich history. It’s not something that we sought out; I had no idea until they reached out to us, so there was certainly no overarching vision involved. It makes perfect sense for us, though. We were already setting up a European business in Dublin and we already have a global footprint for distribution and retail in the pipe world. Sykes: So, again, how could we not have been intrigued at the possibility? Q: And, what does the acquisition mean for both Peterson and Smokingpipes for the future? 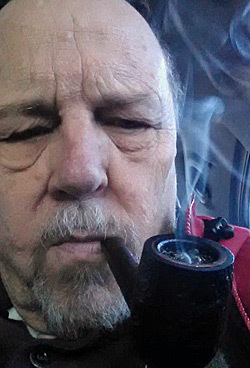 Like me, I’m sure other pipe smokers would like to know if Smokingpipes plans to look back into Peterson’s storied history and revive old shapes and styles. Sykes: Frankly, the changes—what there will be—will largely happen at Peterson. From Smokingpipes perspective, we already had a close relationship with the factory and were consulted on a variety of matters. It probably doesn’t change a whole lot for Smokingpipes except for those changes that will happen for all Peterson pipes. And that brings us to your second question: this is definitely in the cards. We’re pretty geeky when it comes to pipes, so we get excited about projects that look back to Peterson’s rich history for inspiration. We’ve encouraged them in this way from the sidelines over the past couple of years; this will probably become more pronounced as we have more influence on those sorts of decisions. I should add that Peterson isn’t becoming part of Smokingpipes in the sense that I think your question implies. Peterson is still its own entity, with a new owner that also owns Smokingpipes and a blend of old and new management. With C&D–and LDG, the distribution business in the U.S.—decisions are made that are right for those businesses, which are sometimes informed by what we know from Smokingpipes, but they’re not directed by Smokingpipes. It’s sort of a fine distinction, especially given Smokingpipes is the largest and best known bit of Laudisi. So, thanks to Sykes for this great insight. What Pipelandians can look forward to is a very bright future for both SP.com and Peterson. It will be a hard combination to beat. I once asked Coach Bryant about what he said to his players on the sidelines waiting to get in a game: "Son," he told me, "I don’t send in players. I just direct traffic." "There’s a lot of blood, sweat, and guts between dreams and success." "It’s not the will to win that matters – everyone has that. It’s the will to prepare to win that matters." "Set goals – high goals for you and your organization. When your organization has a goal to shoot for, you create teamwork, people working for a common good." "Peterson will now become a part of Laudisi Enterprises, the company I founded eighteen years ago. Laudisi is about pipes and pipe tobacco. I don’t simply mean that it sells pipes and pipe tobacco, which of course is true, but that the very soul of the business is steeped in the product. There are plenty of companies that do something. They, as institutions, might even know a fair bit about it. But they don’t love it. Institutionally, Laudisi Enterprises loves pipes. That love informs every decision we make. It’s the reason that other serious pipe people like to work with us: we understand what they do; we share their passion. Peterson then, as an organization serious about its tradition, its history, and its pipes, is a rather perfect fit within the Laudisi tent." That is a pretty good tent for the future, or as Ralph Waldo Emerson said in his first essay on Self-Reliance in 1841, "Greatness appeals to the future." To the future of Pipe Notes and Quotes, those of you who are in the pipes and tobacco retail (online or run your on B&M), send me your news at tennwriter@bellsouth.net and I will do my best to get all the news that fits in this column.